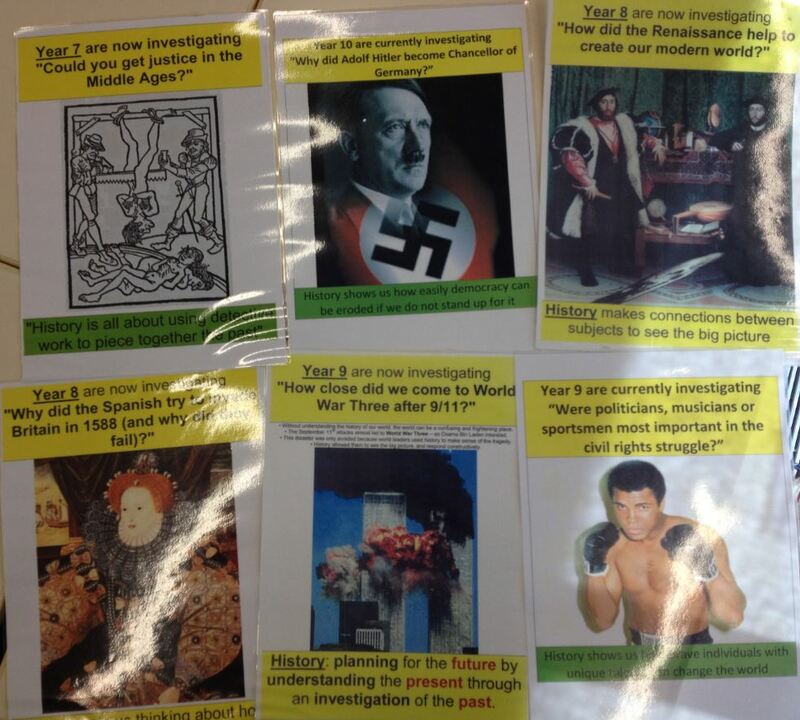 Consider maintaining a ‘currently being studied…’ area outside the classroom, with separate A3 laminated posters (consisting simply of the key enquiry question and a relevant image) outlining the topics being studied in each year group from Year 7 all the way to Year 13. When one topic finishes, I simply take down the old poster, keep it aside ready to use again next year, and replace it with the new one. This display technique not only gives younger students an interesting insight into the sorts of things that they will study later on in their exam years, but also enables colleagues in other departments to spot potential overlaps with their own study topics. This in turn can inspire fruitful conversations leading to cross-curricular projects between various subjects. Ask students themselves to design the poster as an extension task. What image will they choose? What key question will they identify? Students could design the posters using the ‘Breaking News Generator‘ at ClassTools.